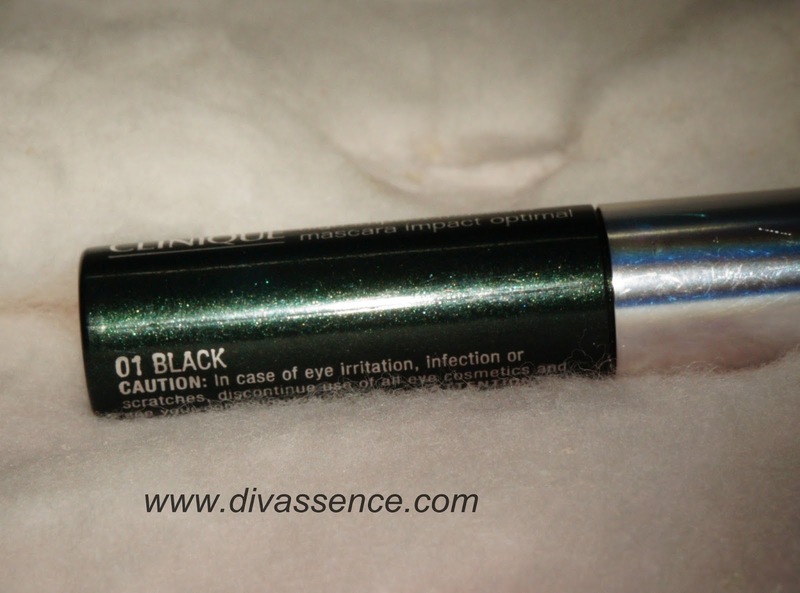 Clinique High Impact Mascara: Review/Swatch/EOTD - Divassence! Your eyes are a window to your soul. Oh I’ve scoffed at this saying for years now. I mean seriously, windows??? But the time when I never used to believe in the power of the eyes was when I was in my tomboy phase. The moment I started experimenting with makeup, I realized that a little bit of freshness to the eyes can freshen up an entire face. That’s when I figured out the importance of mascara. One swipe and your eyes look awake. Add drama and volume to your lashes with just a few coats of black. I have a craving for mascaras. Volume, length, curl, waterproof, non-waterproof, I have them all. But nevertheless I keep wanting more. So on one such find, I came across the Clinique High Impact Mascara during one of my Mall Trawls. The minute I saw this beauty, I knew I had to have it. 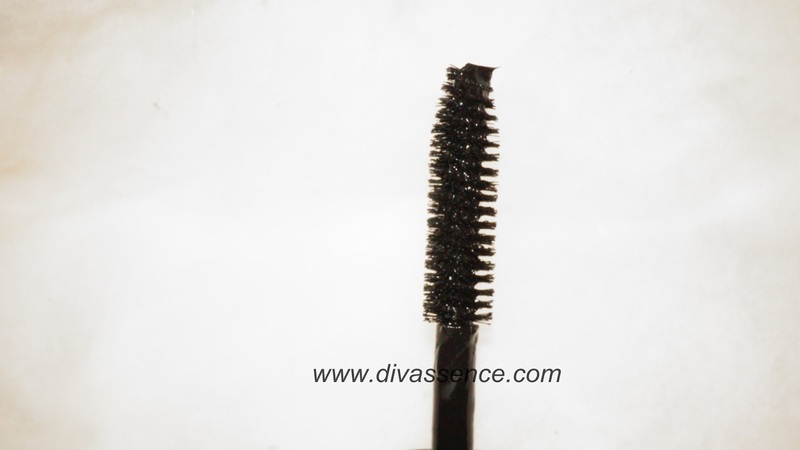 “Kicks up the volume and length of each and every lash for a look that’s lusher, plusher, bolder. Pure, deep colour only adds to the impact. Wear it once and you’ll feel naked without it. Ophthalmologist Tested. Price: 1350 INR in Clinique stores for 7 ml. 1520 INR at Strawberrynet. Flipkart is going to launch it soon. 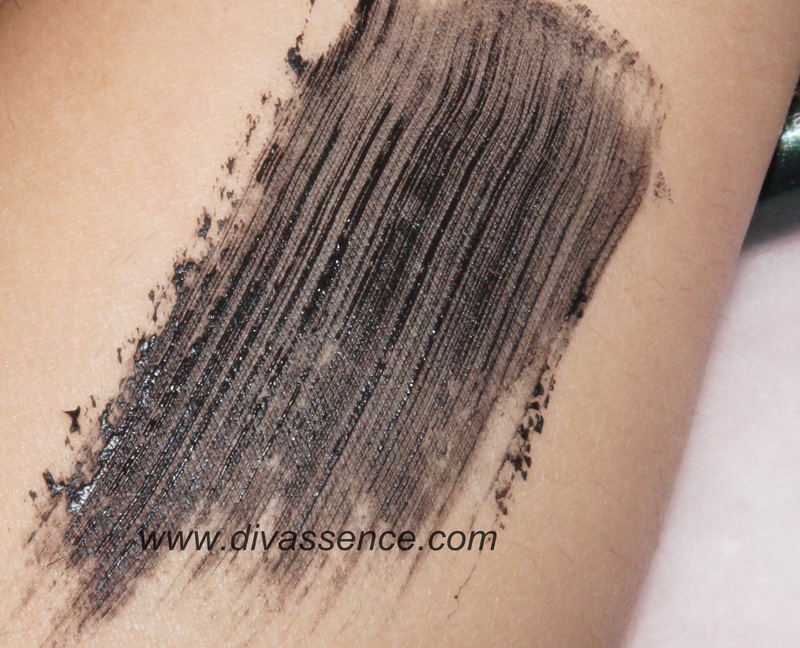 Shades Available: This mascara is only available in Black in India. 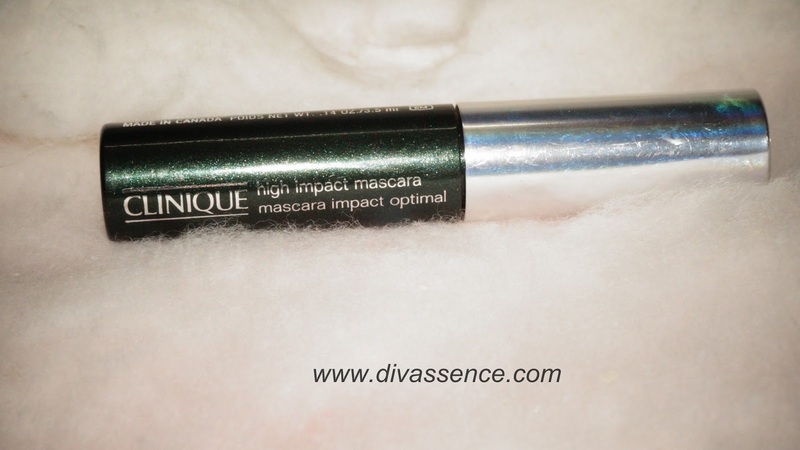 Packaging: Clinique High Impact Mascara comes in a bottle green tube with embedded shimmer in it. 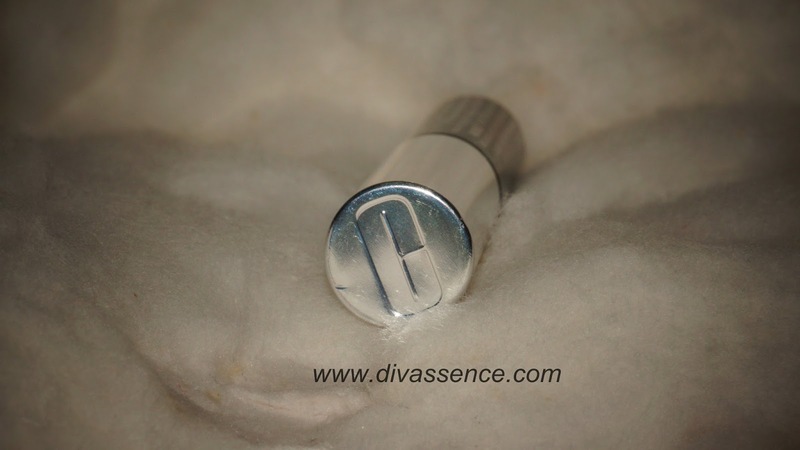 It has a screw on metallic cap and wand with the Clinique’s “C” embossed on the top. Very classy packaging. The wand itself is pretty dense and picks up the mascara very nicely. We wouldn’t need to re-insert the wand for applying the mascara to both the eyes’ lashes, both top and bottom. Staying Power: The mascara is not waterproof, it isn’t mentioned anywhere that it is. So I wouldn’t expect it to not give me raccoon eyes during the rains. But surprisingly, even though it isn’t waterproof, it lasted mild face washes during the day. It did last on me a whole day with three water washes in between. And in spite of all this, I didn’t have to wage a battle with my lashes to remove the mascara at the end of the day. Full marks for that. I hate the tugging at the end of the day to remove the usual mascaras which ultimately ends up in me losing some of my precious lashes. With this baby I didn’t have to worry about that. One swipe adds instant volume. Not even needed two coats for me. Clinique is always fragrance free. Does not weigh down lashes. 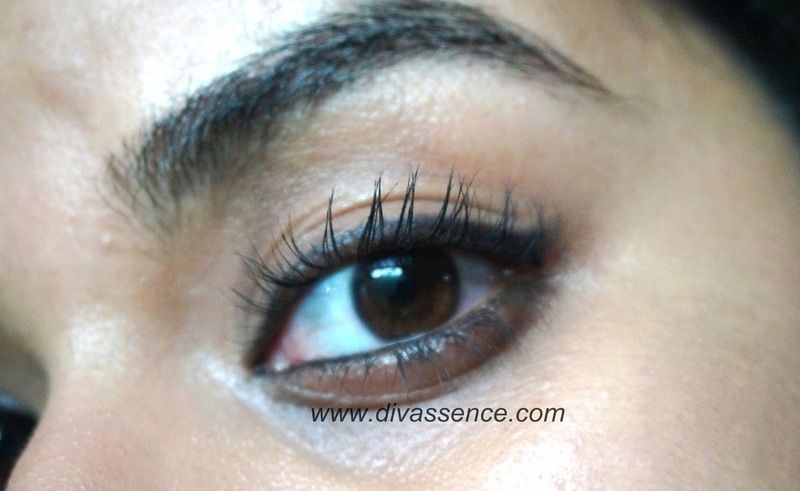 For 1350 INR, and six months shelf life, this mascara falls under the “blow your budget” category. ← Tips To Save Your Skin This Monsoon! If it works this good for me, maybe i don’t mind shelling out few extra bucks! !